Made from rice and water, sake is a gift from nature. It is the only beverage made through the power of water, rice, koji and the brewers who make it. Good sake can only be made when all of these vital elements are together in unison. Sake brewing is the result of using all of the five senses in order to try and understand the true essence of these elements. One must listen to the whispers of the moromi, pay close attention to the subtle changes in appearance, and of course take heed of the delicate aromas and flavours that come forth. Although sake is but a mere clear liquid，there are many tales to be found within. There is that of the farmers who toiled to cultivate the rice, the brewers who made it, and of course the customers and retailers who care for the sake once it has left the brewery. All of these stories and more exist inside each and every glass. 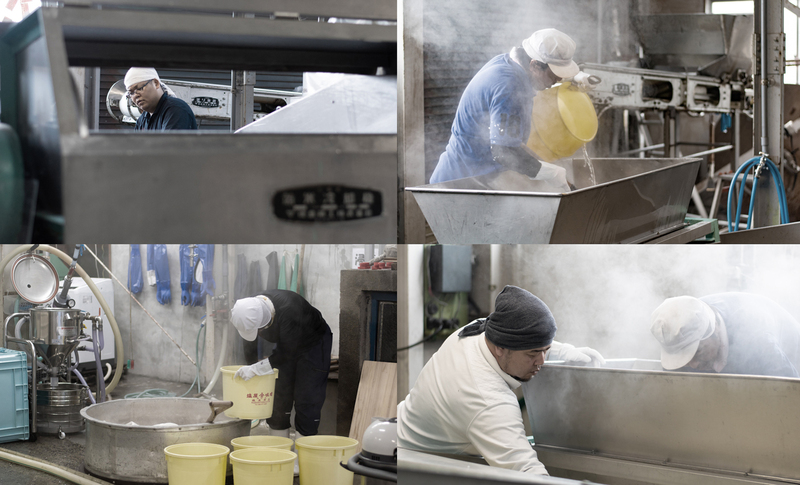 It goes without saying that we strive to make sake that is delicious. However, we also want to make sake that conveys these stories from the moment that you take your first sip. Juhachi Zakari Shuzo is situated in Kojima, Kurashiki on the shores facing the iconic Seto Ohashi Bridge. 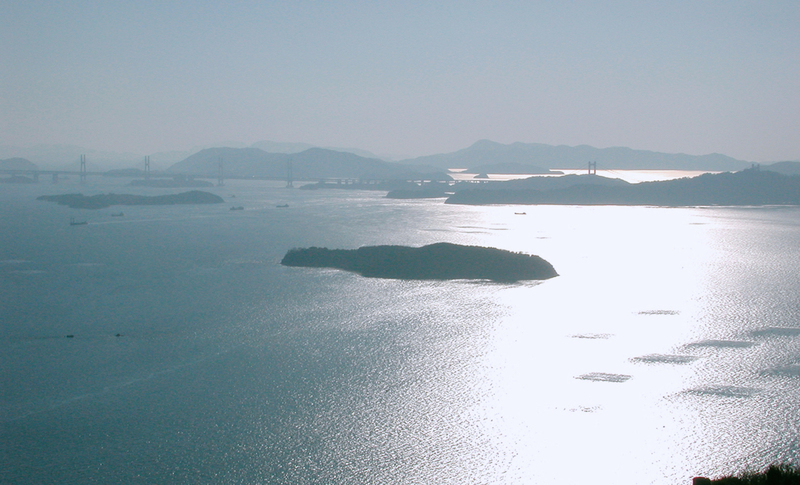 Also located nearby is the Washuzan area, famous for its scenic views of the stunning Seto archipelago, and for being the first park in Japan to receive national designation. Due to this close proximity to the sea, we have always strived to make umami rich sake that compliments the abundance of seafood of which this region is famous. In recent years, the diversification of food culture has seen cuisine evolve to include both Japanese and Western styles. Therefore, we try to make Juhachi Zakari in a way that closely matches these various different styles of cooking. We endeavor to brew sake that places importance on the balance of the three elements of a gentle fragrance, a taste that utilises the richness of the rice, and a clean sharp finish that you will not tire of drinking. It is often said that brewing sake has certain similarities to raising a child. We become fixated by it which makes us more diligent in what we do. Rice that has been carefully nurtured over time shines like a pearl when steamed and is pleasing to touch. The sense of accomplishment of carefully doing each task, and the sense of not allowing oneself to fail. Although it is continuous hard work, through that constant effort, I can make even better sake and connect with the harmony of people. I also think that this is one of the charms of sake.